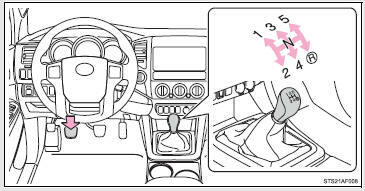 Fully depress the clutch pedal before operating the shift lever, and then release it slowly. 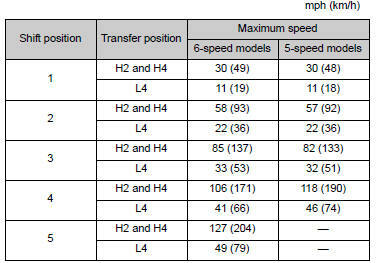 Observe the following maximum allowable speeds in each gear when maximum acceleration is necessary. When shifting into R, a buzzer will sound to inform the driver that the shift lever is in R.